For all of you sneakerheads, hypebeasts and self-proclaimed sneaker connoisseur .. this one is for you. 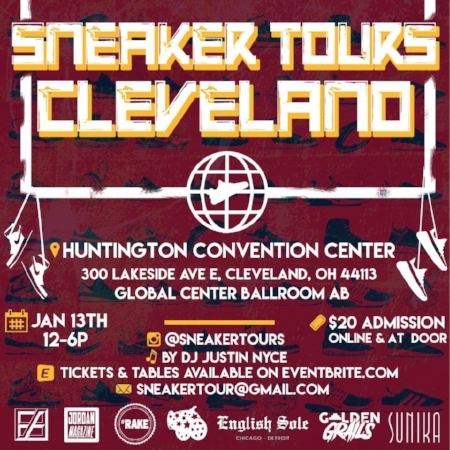 Sneaker Tour is hitting the Huntington Convention Center this Saturday, January 13th. Tickets and tables can be purchased online via eventbrite or if you just want a ticket you can pick it up at the door. I heard the Detroit Sneaker Tour had over 1000 people in attendance so.. this may be the jam.